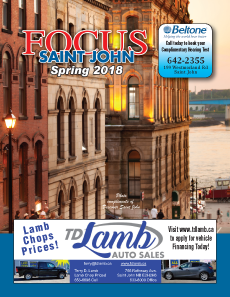 Focus Saint John is a magazine published twice a year with Spring and Fall Editions. Both editions are distributed by mail to 20,000 households in the city of Saint John. The magazine features information on recreation, senior activities, community events and other activities of note in Saint John during the Spring and Fall periods. To find out more or to book your ad in an upcoming edition, please contact us.